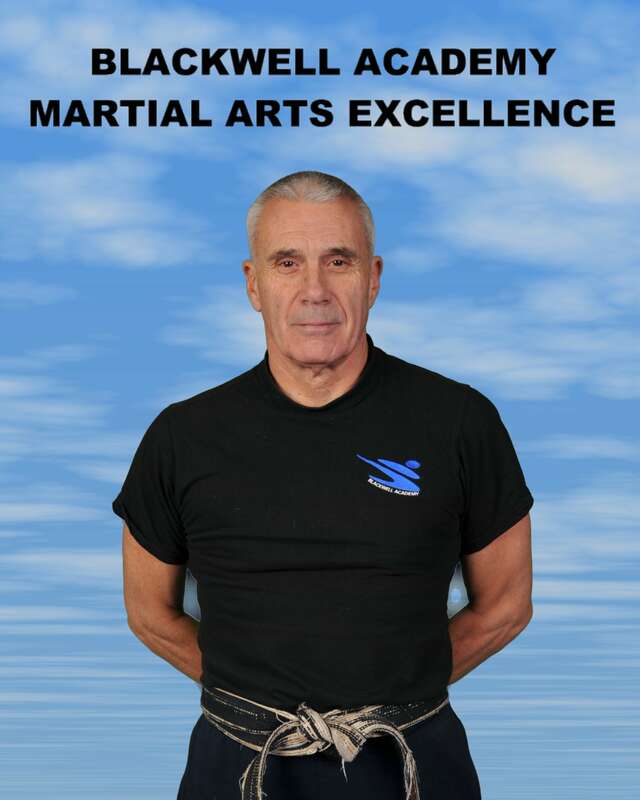 Mr. Blackwell has devoted his entire life to studying and teaching martial arts. When he first became interested there was nowhere to learn Martial Arts in Suffolk. 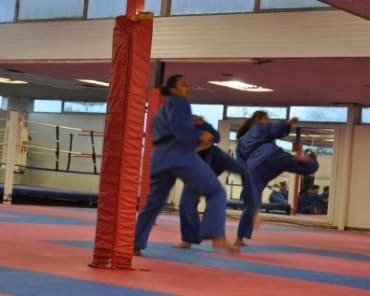 He had to hitchhike into Essex to attend a class once a week where he obtained his black belt in Wado Ryu, not satisfied with one style of Martial Arts Mr. Blackwell then decided to learn Tae Kwon Do and had to travel to Lakenheath, where he also obtained another Black Belt. After gaining his 2nd black belt Mr. Blackwell's instructor (An American Airman) returned to the USA. Mr. Blackwell then decided to set up his own club, this was originally know as S.E.K.K.A. this then changed to E.K.K.A. Karate Association, teaching his own syllabus (a mixture of Tae Kwon Do and Wado Ryu. It's fair to say that Mr. Blackwell brought Karate to Suffolk. Over the last 50 years the E.K.K.A. association has expanded from a small club with no more than 20 men to having 47 clubs in sports centres, community centres and local schools teaching men, women and children. Mr. Blackwell has personally taught over 10,000 and now runs a full time Martial Arts School. He advises instructors from all over the U.K. on how to run their clubs safely and professionally, focusing not only on producing excellent competitions, but also building the confidence and self esteem of every student. Under his leadership, the E.K.K.A. 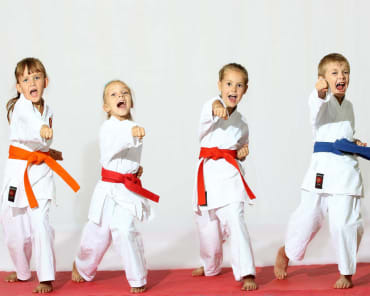 has become one of the most successful Karate Associations in the U.K. The Association has produced English International Fighters, English Junior Champions, Commonwealth Champions & European Champions. Mr. Blackwell has also produced 3 World Kickboxing Champions - Richard Vance World Professional Super Heavyweight - Dennis Turner World Amateur Cruiserweight and Steve Martin - World Professional Welterweight. Mr. Blackwell has frequently has been in the local newspapers and interviewed for the local radio about his life in Martial Arts, he has also appeared on the local news for various Martial Arts events. He was awarded his 9th Dan by Karate England in 2008 in recognition of his time served in Karate and also the success of his Association. This level takes a minimum of 35 years to achieve and Mr. Blackwell is currently one of only 3 people in the U.K. to hold his grade. 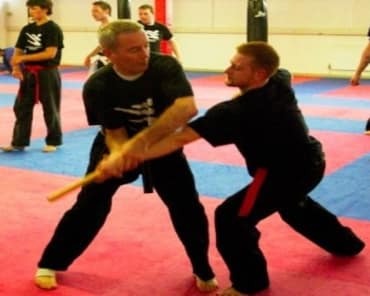 He is also recognised as one of the most successful Martial Arts instructors in the U.K. by other Martial Arts Business owners and frequently gives advice to new Martial Arts School owners starting out. Not only has Mr. Blackwell excelled in Martial Arts he has a huge impact on the local community, making Karate and Kickboxing available to everyone.